What a difference a year makes. On the eve of the World Economic Forum’s Annual Meeting in Davos, China released its growth numbers for 2018. They disappointed as they came in at 6.6 percent for the year 2018, the lowest since 1990. The trajectory showed a downward slope with the year on year numbers for the third and fourth quarter coming in at 6.5 and 6.4 percent respectively. Last year the world looked different: Just as global leaders readied themselves to discuss the state of the world in the Swiss Alpine resort, the IMF released its economic projections for 2018. It forecast synchronized growth in all corners of the world and a staggering 3.9 percent increase in global GDP. It sounded too good to be true; and it was. 2018 brought trade wars, Brexit, emerging market currency wobbles and other geopolitical upsets to contend with. China was not immune to what was going on in the world, particularly as its economy is so interconnected with the world. 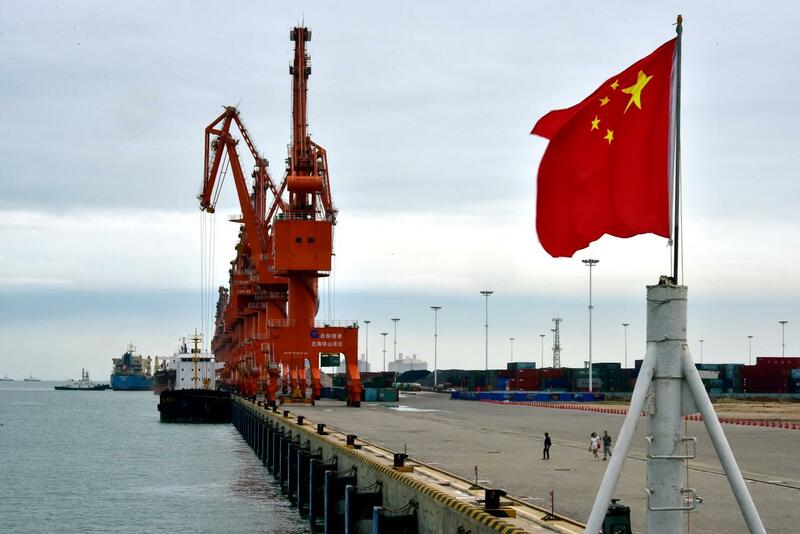 China is one of the main beneficiaries of the global trading system and its products are part of the international supply chain and reach global markets in the form of finished goods. This trading policy helped the country lift hundreds of millions of people out of poverty. It also caught the ire of many who are critical of what globalization has done to their domestic jobs. This notably put China front and center in Donald Trump’s trade wars. While most countries in the developed world can only look with envy at growth rates in the mid sixth percentile, for China 6.6 percent signifies a marked slowdown. The Chinese economic numbers came not as a big surprise. The first shot across the bow came when Apple downgraded its forecasts for fourth quarter revenues from $89 billion to $84 billion, which the company attributed to slowing Chinese sales. Consumer confidence in China is down, which is not surprising, given the harsh rhetoric around trade and its potential implications on the Chinese manufacturing sector and with its exports. Consumer confidence matters not just to Apple and other importers; it is also a key metric for China’s leadership. According to the 13th Five-Year Plan, the economy is slated to become less reliant on exports. The edict is that the impetus for future economic growth should increasingly come from domestic consumption. China is, importantly, also the world’s largest importer of crude oil and an investor in many projects across the Middle East. China is a managed economy and the government is trying to address the issue with various measures, such as more infrastructure spending, a stimulus of close to $90 billion and tax cuts. The latter matters less in China, because the economy does not boast tax levels prevalent in OECD countries. Many of the state-owned enterprises avoid paying taxes altogether. As to infrastructure spending: There are a lot of obsolete white infrastructure elephants strewn around the country, so the government will need to think carefully what is really needed. As to the stimulus package: It is and it will have to be smaller than the one during the 2008 financial crisis. Like most other governments the Chinese coffers are not as full as they were 11 years ago. This being said, the ratio of government debt to GDP still stands at close to 50 percent, which is modest compared to Japan or the US. Earlier in January the government reduced the reserve requirement for banks by 1 percent, which injected an estimated $117 billion into the system. While that measure made sense, it also has its downside as debt is spiralling and there are issues around credit quality too. In 2007, total debt to GDP stood at 140 percent. Now the number is around 260 percent. This raises concerns in the IMF and among the global economist community. We should not lose perspective however: The global economic system is not in as perilous a state as it was 11 years ago. Still, we should still monitor the situation carefully. China’s economy has become fully integrated into the global economy. Much more so than it was in 2008. The country is not just an export nation but valued trading partner to the world. Germany exports its machinery, the US its cars and France its luxury goods to the Middle Kingdom. China is, importantly, also the world’s largest importer of crude oil and an investor in many projects across the Middle East. This means that what happens in China is not just of concern to the world, but also to the family of nations in the GCC.